Television actor Gurmeet Choudhary and his choreographer Shampa have won the dancing reality show Jhalak Dikhla Jaa 5. Gurmeet who was a clear favorite with the audience since the beginning defeated the other two finalists – Rashmi Desai and Rithvik Dhanjani to lift the winners trophy. The winner was declared on the Grand Finale tonight. Jhalak Dikhla Jaa 5 was judged by Madhuri Dixit, Karan Johar and Remo D’souza. 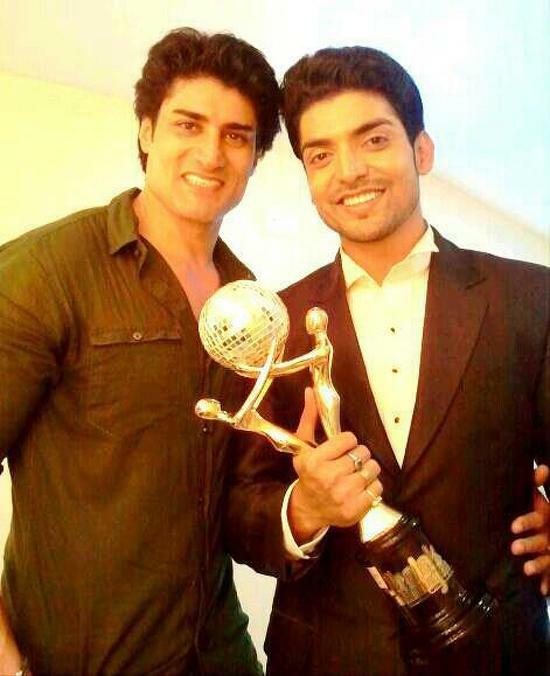 Here’s a picture of Gurmeet with the Jhalak trophy. We congratulate Gurmeet on his success.